Preface by Kev: I truly believe travel broadens your mind but it’s easy to see why people with diabetes think twice. I know from our month long backpacking trip to India that everything is not plain sailing, but most issues can be overcome, or concerns minimised, with a bit of planning. The backpacking trip however was not my original plan: we were due to go to Ladakh, crossing the Himalayas over two days, sleeping at altitude and risking acute mountain sickness (AMS). I got scared at trying to manage diabetes and AMS and immediately changed our plan to avoid the mountains, something I very much regret. Victoria is the first person with type 1 diabetes I’ve communicated with who’s tackled altitude, so I was keen to hear her travel tales. 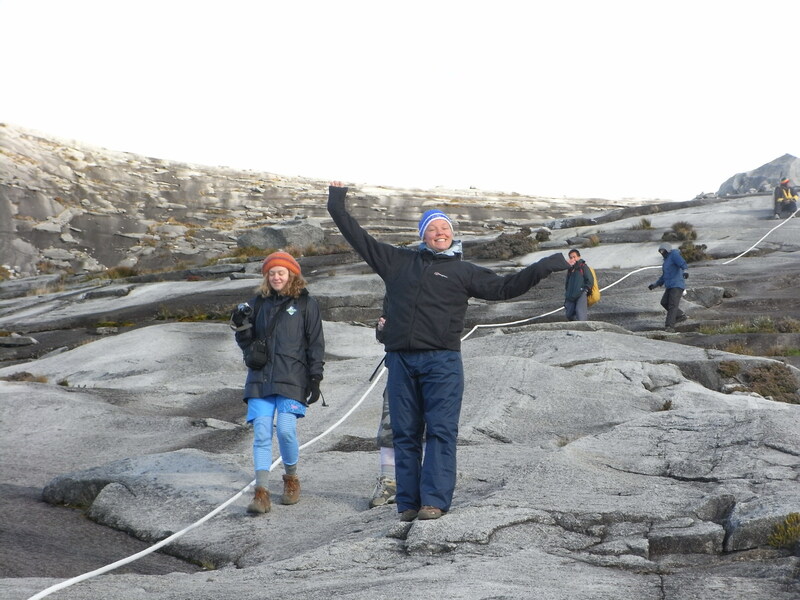 Anyway, get yourself a drink and sit back and read about Victoria’s amazing trip to Borneo, climbing Mt Kinabalu and how having Type 1 Diabetes did not stand in her way. When Kevin asked me to write this blog post I thought – really? Why would anyone want to know about my holiday experiences? Then through lots of contacts on twitter I realised that what I do really is seen as exceptional by some people. It’s that that has me penning my random thoughts today, that and the idea that if people read this they might be convinced that the world is waiting for them…. I was diagnosed aged 9 in 1991. To save you all the maths I am now 32 years old. It may surprise you to realise that back then cartridges hadn’t even been invented – I used insulin syringes and vials for the first two years! However over time (thankfully) technology moved on and I was put on a basal bolus regime aged 11 (the youngest in my area at the time) and it stayed that way. I do now have a pump, but I have only had it for 3 years so I understand how difficult it can be to travel with different kinds of insulin regime. My parents always took me on holiday every year to Spain or Portugal. They had the attitude that diabetes wasn’t a problem, just a challenge to overcome. This has stood me in good stead all my life – if I plan everything properly then nothing can stop me. However I never went further afield than Europe until I was 26 years old. This wasn’t fear – it was just a lack of interest! It wasn’t until I met my (now) husband at university that I met someone who convinced me to try a real adventure. Si had been travelling throughout his gap year and had continued during uni too. He was cool about my diabetes and because we met playing ice hockey (that’s a whole different story!) he didn’t see why I couldn’t do anything I set my mind to. It did however take him another 4 years to convince me to really go for it. I was nervous about this and so set out some ground rules. Si is a real ‘turn up with just a ticket’ traveller and the very idea of this drove me crazy – how could I possibly plan meal times, insulin dose and treat hypos and hypers if we didn’t have an idea from one day to the next? So the compromise was that we would go somewhere ‘out there’ but as part of an organised group. We chose Borneo with Intrepid– mainly because I wanted to see orang-utans and because he loved the jungle and had never been to Asia. This was the best decision I could have made – it took the pressure off of me to ‘organise’ the trip and allowed me the space I needed to focus on insulin and food. It also meant that if I was concerned about my health at any point there was a contact who knew how to access healthcare. I would certainly recommend this approach if you have never been anywhere particularly extreme. 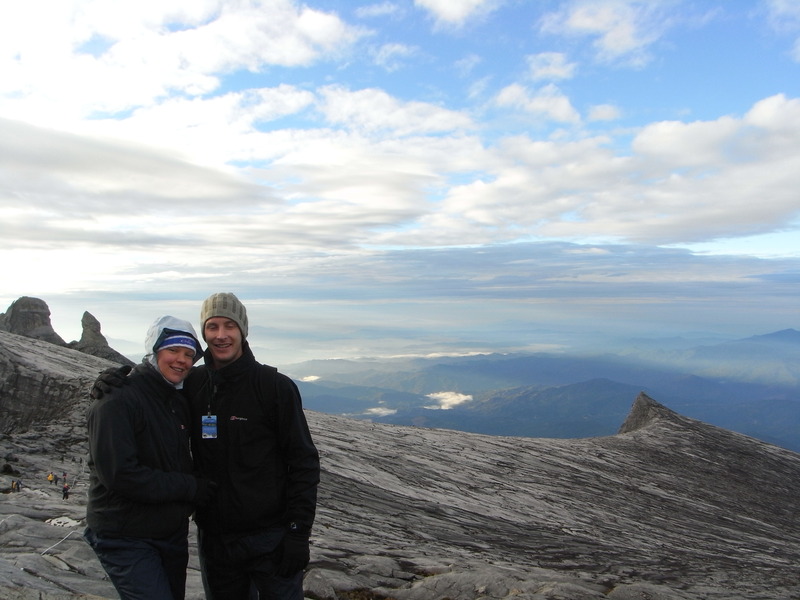 There was a particular part of this trip that really excited Simon – climbing Mt Kinabalu (4095m). One thing I forgot to tell you about Si – he’s an extremist when it comes to sport. I on the other hand am much happier with a glass of wine (sorry mum/dr) and a good book. At first Si said I shouldn’t do it. I think this was a cunning ploy on his part, as the first thing that happens when I’m told I can’t do something, is become determined to do it! So this is where the preparation part kicked in. I researched altitude and diabetes ….. and came up with nothing. Diddly. I couldn’t find any real information anywhere apart from RunSweet which gave profiles of people that had climbed mountains. This told me 2 things – it could definitely be done and it would be up to me to work out how my own body responded. I therefore got sneaky. I am a clinical pharmacist – I work in a hospital and therefore have access to a number of healthcare professionals. They put me in touch with Professor Chris Byrne who was carrying out a trial on the effects of exercise in T1DM. I managed to convince this eminent professor that lending me his super expensive continuous glucose monitor and activity monitor equipment for my 5 week jaunt in Borneo was just what his trial needed! The CGM would give me the confidence for the mountain climb – I didn’t know what my sugars would do and this would tell me the trends rather than just single point readings, which would allow me to adjust my insulin and food safely. The other bit of preparation I did was get equipped at climb-fit.com and get fit. So I went to the gym a few times and walked to work. Seriously that was my training (to be fair it was bloody hard work to get to the top of the mountain and if I had known I would probably have put a bit more effort in. Hindsight is a wonderful thing). I also spoke to the dietician and asked for advice about what food to take to help on the climb. 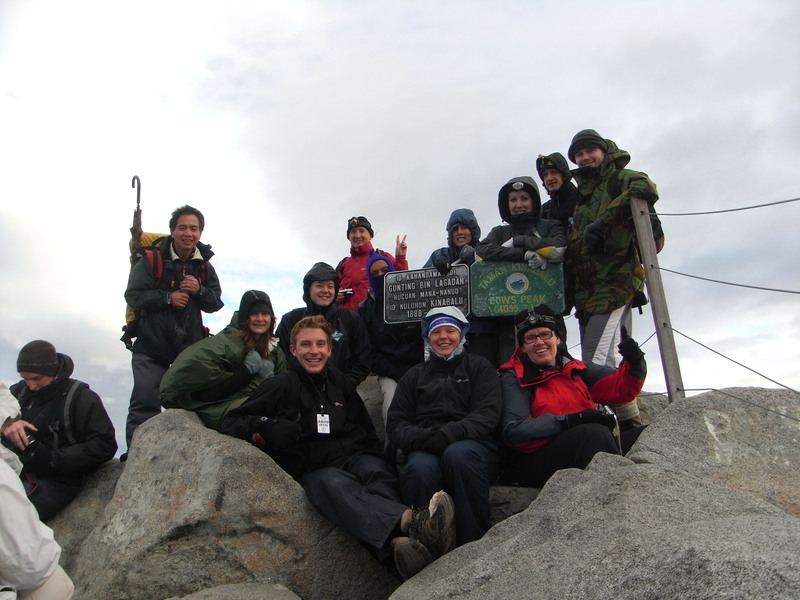 They hadn’t really had any experience of this so together we decided that cereal bars would provide a good amount of energy and glucose (we were going to have meals on the mountain so wasn’t massively concerned – it was more hypoglycaemia that I was worried about). This advice has proved invaluable on all of my travels – they pack easily, they don’t overtreat the hypo and cause rebound hypers and its easy to get more of them, even in remote countries. I would advise anyone travelling to have a few to hand. We went to Borneo and had a whale of a time. As usual (I knew from my previous experiences) the hot temperature and humidity caused my CBG to drop. So I reduced my Lantus by a few units. The Asian food was a nightmare to carb count – but once I worked out there was pretty much sugar in everything I just guestimated and usually it all worked out ok. I had a few hypos but I suspect they were more beer related than any real issues! And then the day of the climb loomed. The night before, I had taken the radical decision to only give myself half the usual amount of Lantus. I did this for 2 reasons – walking up a mountain was lots of exercise and therefore I wouldn’t need as much insulin right? And I was terrified of going hypo and falling off the mountain. I figured that if I got high I would just give myself extra Humalog. The morning dawned and we were given a cooked breakfast before we set off. I then made my second radical decision – I wouldn’t have any insulin for this meal. It was mainly fat rather than carbs (one hash brown and some baked beans) and my CBG was 10mmol/l. As I was sure the exercise would burn it all off, I figured it would be fine. At first it was fine. My CGM showed my sugars were about 12 and I figured I was well away from any hypo danger. Then they started to go up. Then a bit more. Then a lot more. What I had failed to take into account was adrenaline. I know this now, but then – well this was me finding it out. Adrenaline will cause your sugars to rise rapidly. Your body is getting ready for fight or flight so your liver kicks out sugar for your muscles to use. But as a diabetic you don’t use it. So you just get higher. And higher. Combined with my genius plan of no insulin and halved basal, this resulted in a rapid rise to 27 mmol/l after 3 hours. I could see from the CGM that it was still trending up so I thought – no problem I’ll just have my breakfast insulin. Then it continued to rise to 29 mmol/l. ‘eek’ I thought and injected some more. The CGM stopped measuring at 35mmol/l. My CBG monitor had read Hi for an hour before that. I was feeling very odd and quite sick. I was clearly going into DKA at 2500m. I then made yet more bad decisions. I actually didn’t tell anyone what was happening, I kept climbing higher and Si wasn’t with me as he had chosen to take a different trail with some of the others in the group (another genius plan that we haven’t repeated since). I gave myself a total of 54 units of insulin in a 4 hour period. Not much for some but I usually have 45 units in an entire day, including my basal. The CGM gave me the confidence to keep injecting – if it was still trending up I was still in trouble. I just kept injecting until the trend started to go down. It also helped that I was drinking huge amounts of water to combat altitude sickness and dehydration – so I never quite reached a point of collapse. I got away with it – by the time it got to lunch my sugars had fallen to 15mmol/l. I gave myself yet more insulin, had lunch and kept on climbing. My sugars stayed at 10ish for the rest of the climb to the ‘rest house’ at 3270m. I had dinner (proper insulin again, BG 15mmol/l!) and went to bed ready to begin the summit at 1am. I woke up 2 hours later with a hypo of 2.8mmol/l. This was my second learning point – exercise effects don’t stop when you do. When the activity monitor I was wearing for the trial was analysed back in the UK it actually showed that the effects lasted for 24 hours after I had stopped exercising. I never knew this and I’m many others don’t as well. The summit was relatively uneventful – I made it to the top for sunrise. The CGM worked fine but my regular monitor (which I had to use to calibrate the CGM) went crazy. One minute it would read 26 the next 2mmol/l. I had to just trust the CGM which showed I was 9. I returned to the base camp, tired, exhilarated and full of new knowledge about my body. After that experience (and dealing with it alone) I actually grew in confidence – if I didn’t make rash decisions I understood my body well enough to try anything. •	Be brave with corrections – you may need more than usual.